The University of Wolverhampton has confirmed the continuation of its sponsorship deal with AFC Telford United. 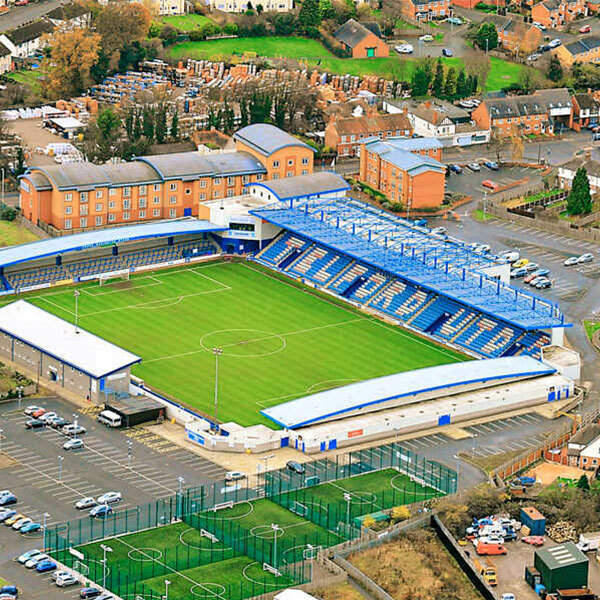 As part of its arrangement, the University will retain the naming rights at the New Bucks Head for the Sir Stephen Roberts West stand until 2020. It currently has the capacity for 2,200 spectators, houses the club’s corporate and press facilities and includes media and fitness sections. The University will also maintain its sponsorship of the Goalzone floodlit pitches at the ground, offering FA standard 4G pitches for community use. The agreement will continue to provide work experience and placement opportunities at the club and preserve its agreement to give students discounted tickets at all home matches by showing their student card. The Telford Campus is part of the University of Wolverhampton and is set on the grounds of the 18th century mansion, Priorslee Hall. It offers facilities for engineering, computing students and is home to many international students.